The Province experienced days of God’s grace during the Transmission of the document “Guidelines for the Formation period of Temporary Vows” as the Formation Sector of the Institute presented it to the Animators, Provincial Councillors and Formators from March 28 to March 31. A big “Thanks” to Sr. Reboso Maria Nieves, General Councilor for Formation, Sr. Maria Fisichella and Sr. Anelfreda Miranda her collaborators for presenting very clearly the reality of the Temporary Professed Sisters of our Institute and the need of Formation and Accompaniment. The Guidelines brought awareness some aspects that require special attention in the formation journey of the FMA especially the Temporary Professed in order to respond to the challenges of the new generation. The important role of the Animator and the community in the Formative journey of the young Sisters was very much highlighted. The Animators themselves felt renewed in their formation and truly experienced newness of religious life during these days of sharing and reflection. The Icon of Mary at the Wedding Feast at Cana, “Do whatever He tells you” (Jn.2:5) was very much considered as an inspiration, an example of indispensable condition to place oneself in an attitude requisite for openness, availability and docility for ongoing formation. It also gave the image of the FMA community that “welcomes and accompanies the Temporary professed in the celebration of the feast of life” thus helping each one to creatively live the newness of the charism so that it may keep the genuine taste of fruitfulness of the origins. The Animators were also enriched with some “Guidelines for the formation of new Animators, Province Formation Coordinator and Live in Ongoing Formation: Foundation of impassioned and joyous growth in FMA identity”. 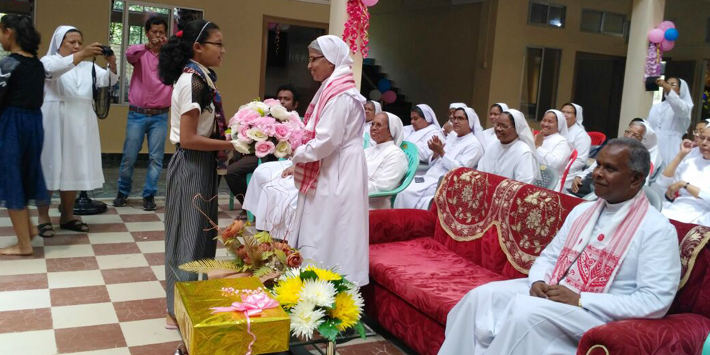 On 7 October, the Salesian Sisters of Guwahati is blessed with 18 young women who decided to continue their choice to be religious in the footsteps of Don Bosco and Mother Mazzarello received their Postulancy Medal from Sr. Alphonsa Kurisingal, Provincial. The 18 new Postulants came in procession with lighted lamps in their hands and placed around the altar with the firm conviction in the light of the theme ‘ The Lord your God will walk beside you.’ Joshua 1:9. 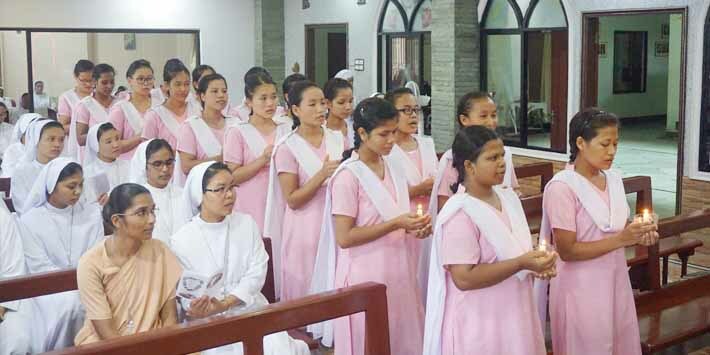 The presence of the Province Councillors and the Sisters from three communities of Guwahati encouraged the Postulants and added joy and solemnity of the day’s celebration. 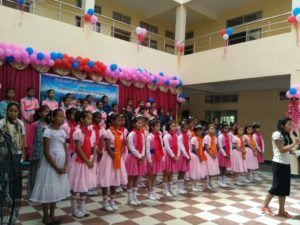 Little Flower Higher Secondary School, Kohima, celebrated Catechism and Moral Science Day on the 19th of September, 2018. It is being celebrated after many years. Fr. Neisalhou Carolus Kuotsu, Vicar General and Parish Priest, Cathedral Church, Kohima, was the Chief Guest for the day. The beautiful day began with a scripture reading by Tsiavi, Class 10 and invocation was said by Sr. Pasqualina Susngi, Animator. The Chief Guest brought greetings to all the faculty members and students.In his speech Fr. Carolussaid that this kind of event is to deepen our faith, and human relationship with one another. He stressed on the importance of living our Christian life no matter what denomination or church we belong to. As we look back to olden days the early Christians were deeply devoted to their faith. They love and trust each other. But now Christians have become dishonest, greedy, selfish and corrupt. Does our religion teach us all these? Our Christianity teaches us more than this. Today what denomination we belong to is not important, but how we live our Christian life as Christians is true Christianity. 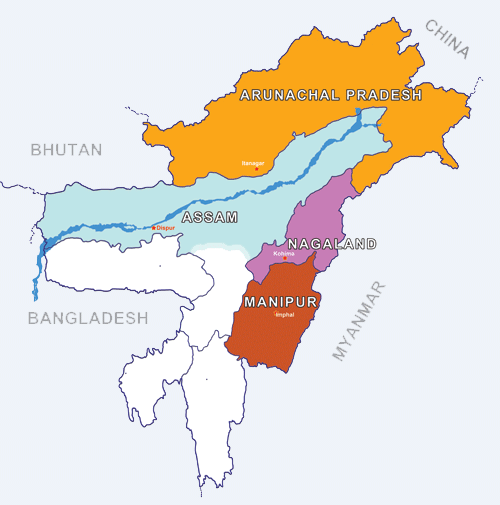 Therefore let us make Christianity in Nagaland something that is beautiful by our witnessing life. Let us learn our faith and live by faith. During the Programme the Gospel values and Moral values were brought out clearly through Songs, Skits, Dances and Choreography bearing its own unique message for all present. 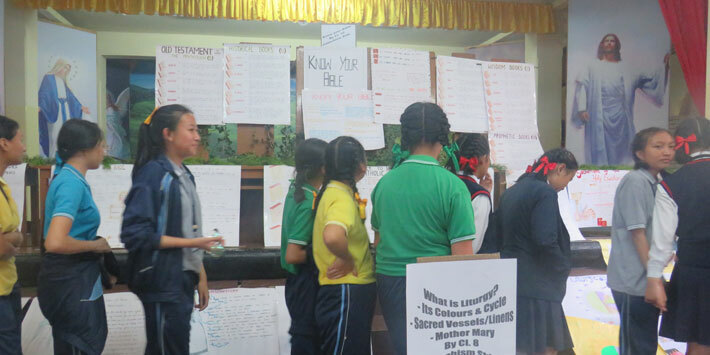 The School also exhibited the Catechism and Moral Science projects of the students in the school hall as part of learning from 19-21 September. 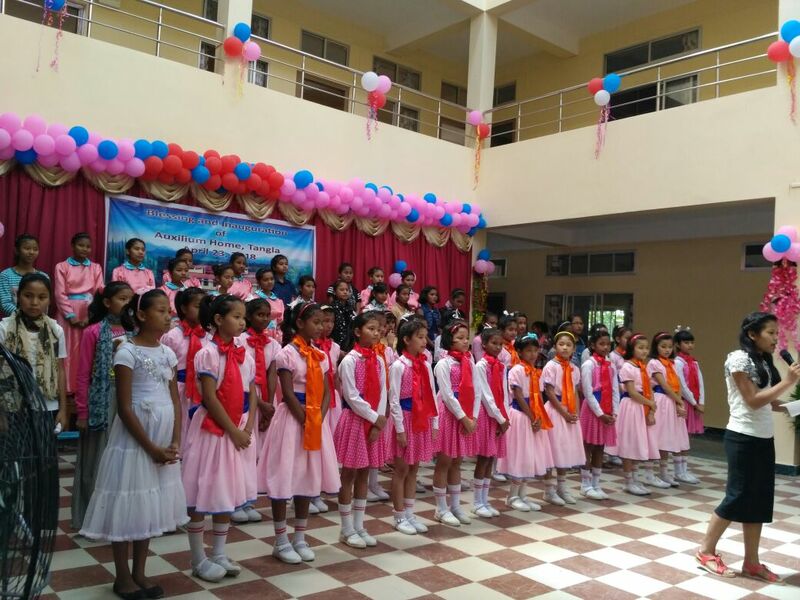 Catechism and Moral Science Day was celebrated to inculcate in the minds and hearts of the students to have that sense of God, to imbibe virtues, to enhance one’s life with good moral values and to live out in our day to day life. The three days residential 31st August – 3rd September residential “Basic Skill Training Camp” was organized in the School premises for the newly born “GUIDES” of St. Joseph’s Convent Higher Secondary School, Tezpur. Mrs. Anna Rai and Mrs Anima Ekka from Guwahati were the resource persons. The Guides attended the camp with great enthusiasm and eagerness to learn. 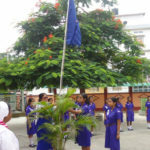 On 3rd at 9.00 a.m., the 37 Guides took their ‘Guides Pledge’ solemnly in the presence of Sr. Emilia Chopfohra, Principal, Sisters and Parents during which the parents expressed their gratitude, joy and happiness to the School seeing their children learnt and grown so much within three days. They assured to co-operate with the School in near future too. 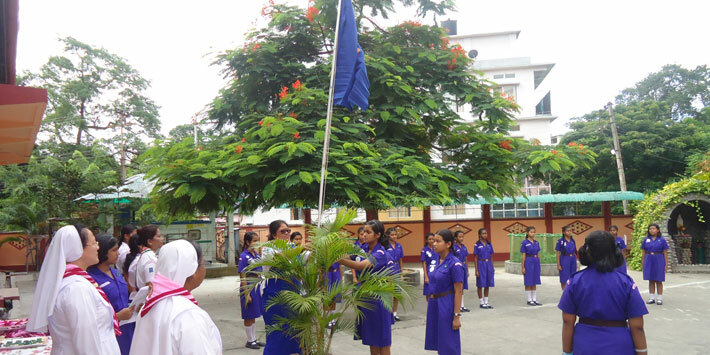 The camp concluded with the Scouts and Guides Anthem and unfolding of the flag. Thus the 37 budding Guides leaders, the first pioneering Guides are making a history in the book of St. Joseph’s Convent Higher Secondary School, Tezpur. The environment has nourished us since years and years like a new born child. However, men has led to great environmental problems, unintentionally placing their whole life in danger. In order to create environmental awareness, UN in 1974 declared that every year 5th June will be observed as ‘World Environment Day’ a day when men shall officially recall all the gifts received from nature and pay a tribute to them. Every year World Environment Day has a different host country, where the official celebrations take place. The focus on the host country helps to highlight the environmental challenges it face and support the effort to address then. This year host country is India who’s theme is ‘Best Plastic Pollution. It is indeed every citizen’s duty to take the initiative to core for their own environment and stop the usage of plastics. 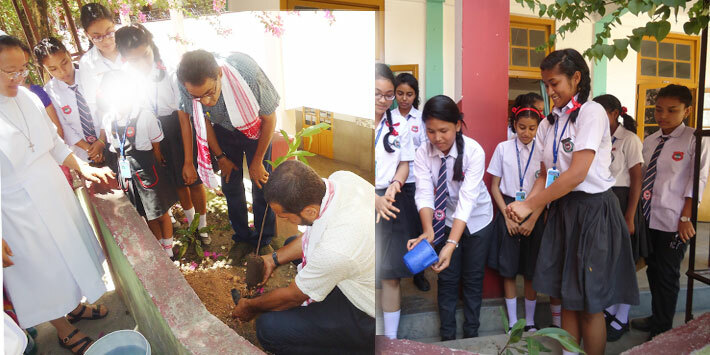 As an act of responsible citizen the management of St. Joseph’s Convent Higher Secondary School organized tree plantation programme on 5th June. 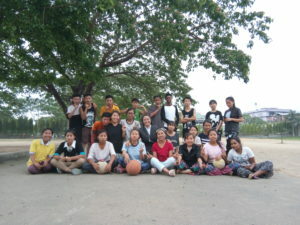 It was conducted by the members and moderators of the Eco-club around 12∙30pm. Three variety of sapling were planted within the school premises by Add. Deputy Commissioner of Sonitpur District Sri Parag Kr Kakoti along with the Inspector of schools, Sonitpur Prabat Das, School authority and student representative. The plants were carefully watered and the students along with the school management promised to look after and maintain the freshly planted plants. They have also helped and contributed towards the National Theme by motivating the students to avoid plastics and pollution and encouragement them to be part of the nature’s building process. The students pledged to lead the efficient use of sustainable development. The long awaited dream of Little Flower Community, Dibrugarh to begin Auxilium Oratory came into reality on May 24, 2018. 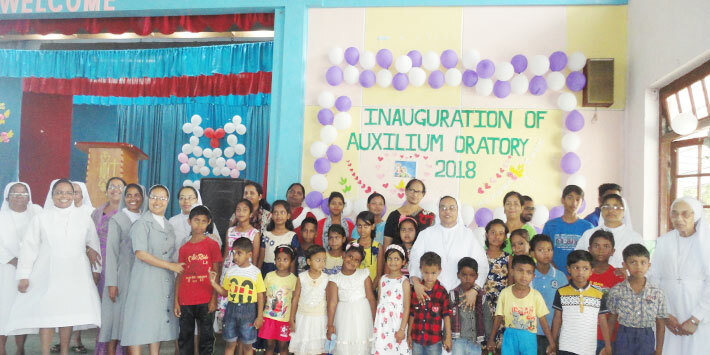 To mark this historical event, a short prayer service was conducted at the inauguration, followed by the solemn and official declaration of Auxilium Oratory open by Sr. Kurisinkal Alphonsa, the Animator. The Salesian’s Cooperators came forward to collaborate in this new venture and added joy and enthusiasm with their presence. The historical event became even more meaningful with significant number 24 children present, who are the first oratorians of Auxilium Oratory. Sr. Alphonsa, in her talk highlighted the beginning of Don Bosco’s mission with the young in his Oratories, which had four crucial elements such as- Home, school, church and playground and said that the ‘Oratory is the window to Spirituality’. The beautiful day came to an end with refreshment for all and the children went home with smiling faces. Tarumitra meaning “Friends of Trees” in Hindi and Sanskrit is a student’s movement to protect and promote a healthy environment on the earth. To promote spirituality and a world view that is earth friendly. Like every year, this year too on the 5th of June 2018 the Tarumitra club had celebrated the World Environment Day in its own unique way at school premises. This worldwide event has been the United Nations principle vehicle for encouraging awareness and action for the protection of our environment. The first World Environment Day occurred in 1973, it has been flagship campaign for raising awareness on emerging environment issues. World Environment day has grown to become a global platform for public outreach with participation from over 143 countries annually. Each year, World Environment day has a new theme which is adapted by various organizations worldwide to advocated environment causes. We felt greatly honoured on announcing that India was the global host of World environment Day 2018. The theme for this year was “BEAT PLASTIC POLLUTION” as the world came together to combat single –use plastic pollution. To signify this day the Tarumitra club of Holy Child School Guwahati, had organized a poster painting and t-shirt painting competition on various environmental themes for classes 7 to 12. Around 200 students participated for t-shirt competition and 50 students participated for poster painting competition. It was exceptionally pleasant to see active participation of the students. We also felt greatly delighted to notify that t-shirts which were painted by the students as a part of the competition were donated to Ashalaya and to the other underprivileged children of mission centers of the Province. Thus, it was not only a humble step towards our environment but also towards humanity. The Guides friends of class 7B also contributed to the program by planting saplings in the pots. 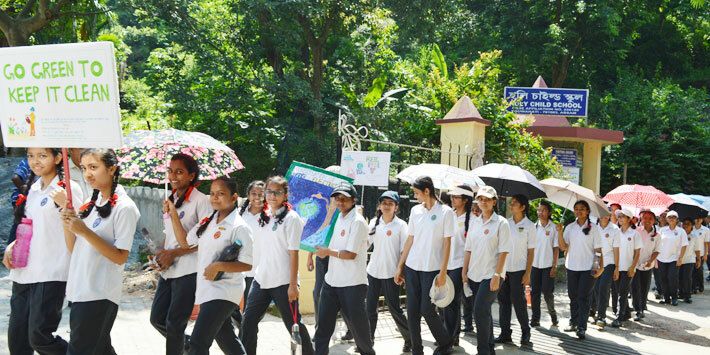 In addition to that we organized a rally for classes 5 to 10 to spread an awareness of plastic pollution in our locality. The students holding placard and shouting slogans went round the neighbouring streets campaigning for plastic pollution free environment. The Tarumitra Club members hoped that small yet meaningful efforts made on this World Environment Day to create awareness in the minds of the citizens to be more environment conscious will bear fruits. A month long programme on “Basic Computer and Leadership Training 2018”, was conducted by Sr. Sania Josephine, Province Coordinator for Social Communication at Auxilium, Dimapur. 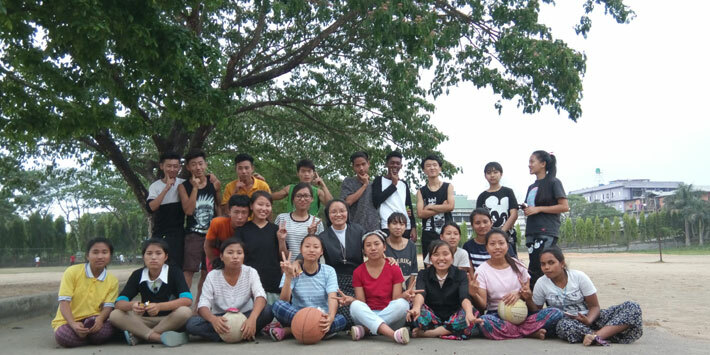 25 boys and girls hailing from different parts of Manipur, Arunachal Pradesh and Nagaland, waiting for their HSLC and HSSLC result attended the programme. The programme began on March 26 to April 26, during which they were given opportunities and platform to explore their hidden talents and potential, experience of team work, overcome stage fear and shyness, etc … through various competition and activities. They had the opportunity of having a unique Easter Celebration with other young people during ‘Youth Pasch’ at DBIdl, Dimapur. Besides Computer and life skills, they were offered Faith Formation animations. Newly constructed ‘Auxilium Home’, Tangla was Blessed and Inaugurated on 23rd April by Rt. Rev. 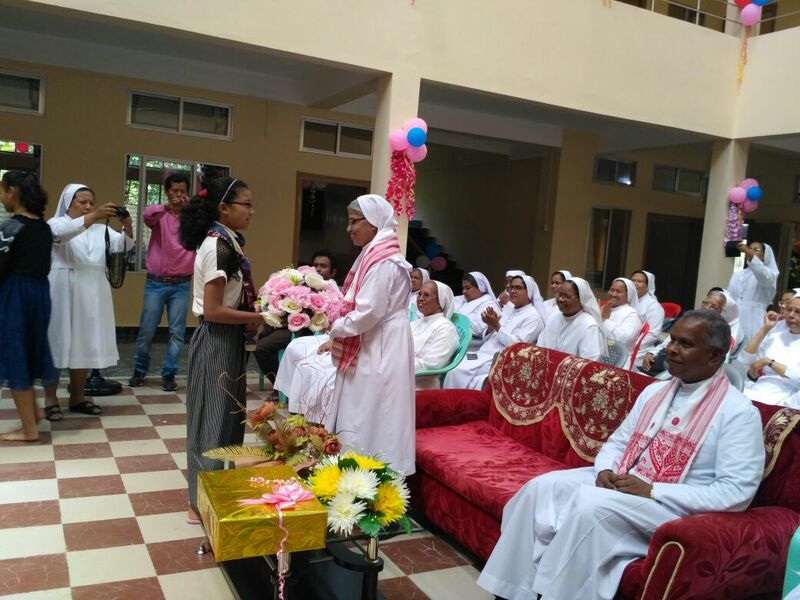 Michael Akasius Toppo, D.D., Bishop of Tezpur in the presence of Sr. Elizabeth George, Provincial and all the Animators of the Communities. 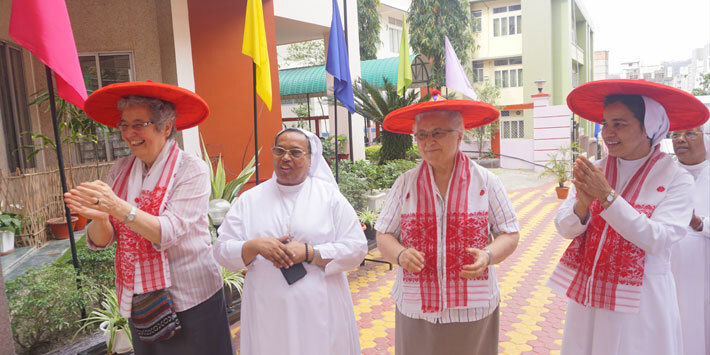 The Province of Mater Ecclesiae, Guwahati was blessed with the presence of Mother General, Mother Yvonne Reungoat from April 9 to 17, 2017. La Madre’s presence during the Holy Week and consequently on Easter Sunday gave a greater meaning and joy to all their celebrations.On the evening of 9th April 2017 when La Madre arrived, the Sisters, young candidates in formation and some other young girls accorded her a warm welcome, offering her a gamosa, a japiand a bouquet of flowers. Youth Meet was held on 12th April 2017 to commemorate the historic event of the visit of La Madre to the Province. Young people of varied cultures and language groups hailing from the states of Assam, Arunachal Pradesh, Manipur and Nagaland rallied around Mother Yvonne Reungoat on that day. 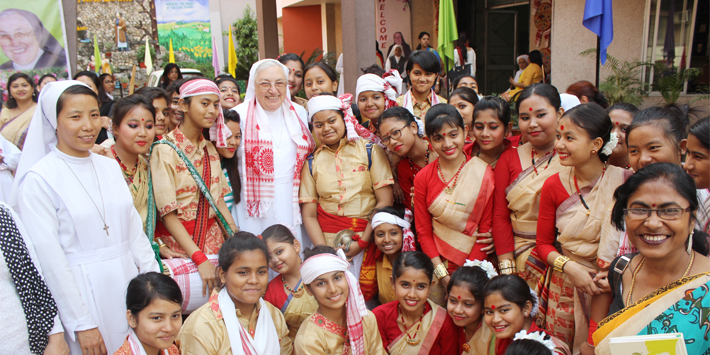 The youth, numbering around two thousand gathered at St. Mary’s Maligaon auditorium, each one, with the desire to script in their life’s story, ‘I have seen the Mother General of the Salesian Sisters’. Members of VIDES, past pupils and Salesian Co-operators too got the chance of meeting La Madre. On the occasion of her visit, Mother laid the foundation stone for the construction of the new building at St. Mary’s Guwahati. The young people at DBI too got the opportunity to greet Mother as Mother made a visit to their place. La Madre then visited the Generalate of the Missionary Sisters of Mary Help of Christians where she met their Superior General, the Sisters in the Council and other Sisters. Together they shared very rich moments in each other’s company. April 16, 2017- Easter Sunday was a day of thanksgiving to La Madre. ‘Thank you’ was expressed in words, songs and dances. The aspirants and postulants came up with a very beautiful presentation, wishing Mother a very Happy Feast for World Gratitude Day. Mother took leave of us on April 17, 2017 at 12.10 p.m. leaving behind very beautiful and memorable memories of our stay together. She was accompanied by Sr. George Elizabeth, Provincial, Sr. Palliparambil Jessy, Provincial Economer, Sr. Dilbung Maria, Secretary and a host of other Sisters to the airport.